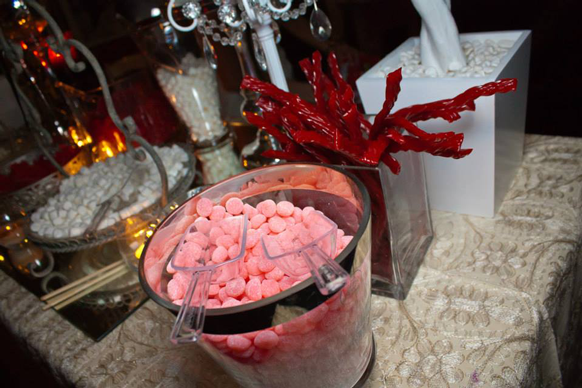 First, here are some pics from the Red & White Ball Toronto in support of Breast and Prostate Cancer research. I had a whole post planned but the extreme heat and horrid downpour ruined any chance of legitimate photos for this post. So please, please excuse my mess and this lengthy rant, as there is a story to be told, promise! 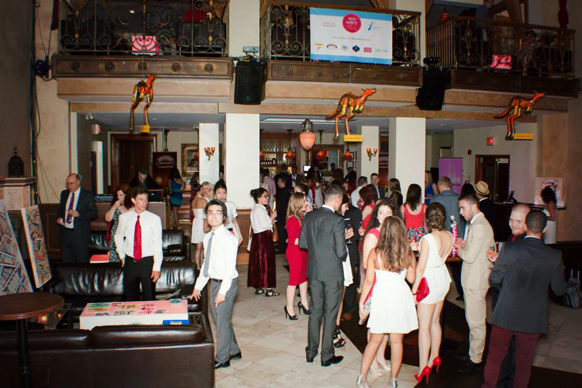 The Red & White Ball was a charity event I had been looking forward to! Themed outfits get me way too excited. 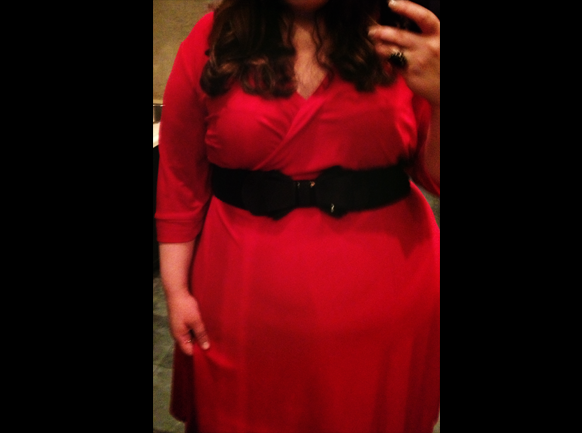 It all started when I received my beautiful Kiyonna Legacy Wrap dress *swoon*. 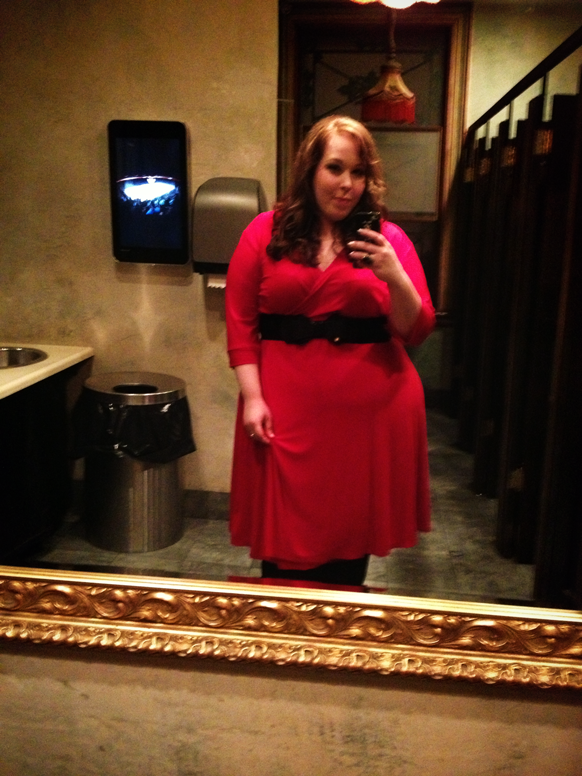 The hunt for my red dress took eons! Surprisingly there wasn't much to choose from, so I decided to give Kiyonna a go. I found the wrap dress on sale, was careful to go based on the measurements and figured I could get it tailored if it was too big (time was of the essence, my invite was very last minute in terms of shipping to Canada). I received the dress in ample time, the shipping was SO fast! I tore open the box and shimmied into the dress almost immediately, and as I tied the sash, I began to realize that the dress was far too big (probably a size or two). I wasn't too worried at this point, I booked it to my tailor and showed him where I needed it altered only to have him tell me that the fabric and cut of the dress wasn't something he could alter for me. I was totally crushed! I turned to twitter to voice my heartbreak and Kiyonna responded instantly. From here, I received the best... no seriously, the best. customer. service. ever! Kiyonna desperately tried to rectify the situation for me by going above and beyond. They tried checking shipping times to get me a different size and going as far as offering to send me instructions for the tailor based on how it was hanging. Unfortunately, time really wasn't my friend at this point, and there wasn't much we could do but forfeit the idea of getting it fitted. What on earth did I do you ask? Well... I improvised, as any fashionista would do. I strapped on the dress using the sash and a thick belt to cinch, I think it turned out pretty cute if I do say so myself! Between the heat, the humidity and the downpour on the way to the venue, I was a goner before the event even started though. It was a fun evening none the less, I just wish I had better photos to show you! Here are some more images from the evening! 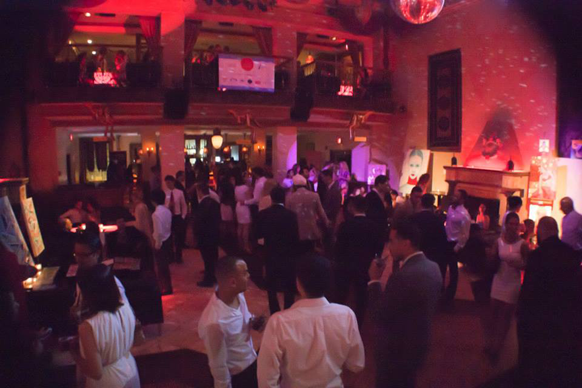 The following images are from Red & White Ball Toronto's facebook page. 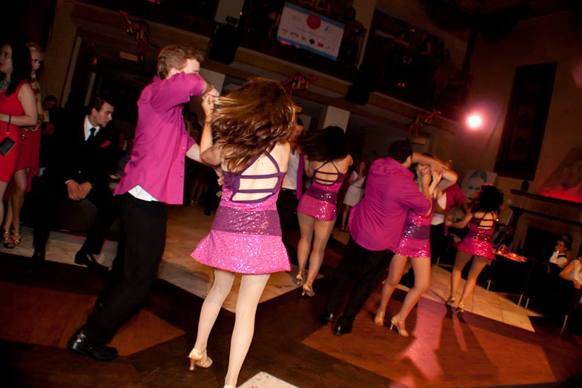 salsa dancers, yep, they had it all! What do you think of my improvisation? Have you ever been in a similar situation for an event where nothing seemed to go right? PS. Thank you Kiyonna for your A++ customer service! I will always heart you.